I am really not into training. I also not imagined that I would care about the fitness applications at Pebble. The only thing I used to check on my present watch was the number of steps/day. Pebble presents everything in a such a nice way, that I can't resist to get involved. 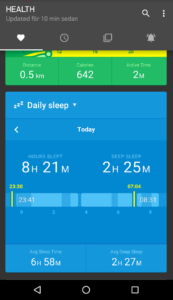 In the latest update of Pebble OS (I have v3.13 and a Pebble Time Steel) a new tab for Health was installed in the mobile app. At the watch, you can access the data via the Time Line, i.e. when the watch has it's start screen activated (the watch screen) and you press the up and down buttons. Everything is automatically registered. I don't have to say: "I'm going to sleep!" but the it works as any other activity band. Pebble may also sync with Google Fit, which can be set under Settings in Pebble Health. with that said: Pebble is a really competent fitness watch. 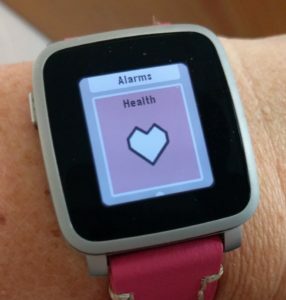 The upcoming Pebble Time 2 also has a heart rate monitor, for those of you who need that. Pebble has an open source approach, i.e. they urge the users to develop own applications for the smartwatch. There's a site for those who'd like to create their own apps for Pebble: Pebble Developers, with tutorials and guidelines. The present version only handled black and white watchfaces, but there is a testversion for colour. So, start creating you own personal watchfaces! Just as I've bought myself a Pebble Time Steel, Pebble releases new models at kickstarter. Kickstarter means that you reserve a watch before it's produced, hence guarantee the sale for the company. On the other hand, I couldn't have waited for a new Pebble during half a year, since the new models aren't shipped until next autumn. 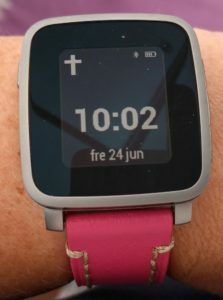 Pebbles new models have a health focus and comes with a heart rate monitor and a larger display than before at the Time 2 (i.e. the old Time Steel). They also release a small GPS unit called Pebble Core, which you can wear while jogging not having to carry around your phone for tracking. Pebble also announces updated software. I haven't been able to understand if the old models also will get the new version of the software, but I do hope so. It's a couple of really nice watches that are released, and I sure would love to upgrade. However, I can't motivate myself to put in that amount of money again. I don't really need the heart rate monitor, but I would have appreciated the larger screen. I will wait until the Time 2 is in the store later on. Although, I still think that the Pebble 2 (which looks as the original Pebble) is the coolest model of them all. Here is a chart to technical compare the different Pebble models. 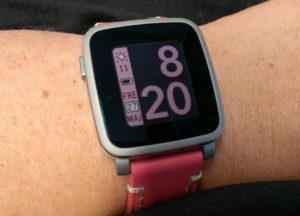 The Pebble is so much more "me" with a pink strap. 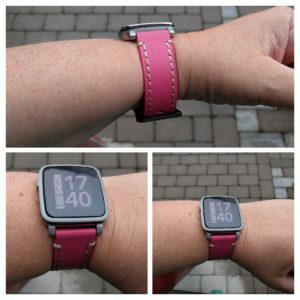 The band is dark pink of genuine leather and visible seams. It feels a bit stiff so far, because it's double layers, but I hope it will soften up after a time of usage. Changing the band was really easy. Pebble uses a standard lug size of 22 mm and also has standar sprint bars. You need a new watch band and a band tool which can be bought on eBay for very little money. You may also need new spring bars. I have used knives, needles and other small things in order to change straps, but it's a significant risk to scratch the bezel or the springs, so a band tool is really a good investment. Use the tool to remove the old strap. Compress the spring bar with the help of the tool and remove the strap. Use the tool to compress the spring bar so it can be placed between the lugs. You should here a click sound when the spring bar is in correct positon. These are my three pressen smartwatches. I have given them all positive reviews, but just to be clear: It is an obvius difference between these three. It's not the same to get a watch for 10€ or 300€. Pebble is made from stianless steel and feels both well built, light and elegant. Gear S is all in palstix. U8 is made from metall and feels heavy. 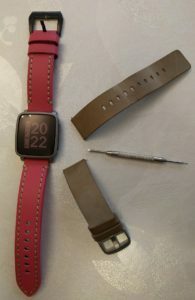 Pebble comes with a steel or a leather band. Gear S has a high quality silikon strap. U8 has a rather flimsy silicone strap. Not having done too carefully measurements, U8 and Gear S seems to be quite equal (1-2 days depending on how much you use the touch screen). Pebble is outstanding with it's 10 days of battery life. Pebble charges with a magnetic charger contact that is fastened to the back of the chassi. Gear S charges via a plastic dock that is fastened to the back. U8 charges via a micro USB cable. 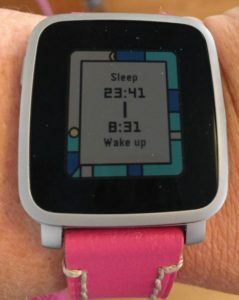 Pebble takes any 22 mm band. Gear S has after market bands to buy. U8 has a non-replacable band, I guess. 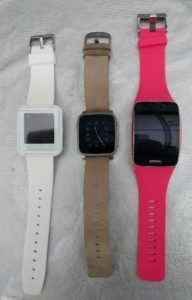 Pebble and U8 pairs immediately with my Android mobile phone. Gear S runs the OS Tizen and this version only pairs with a couple of selected models from Samsung. 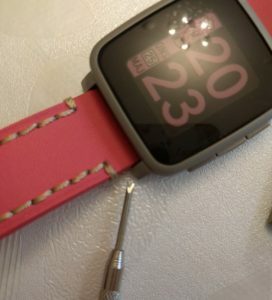 Pebble and Gear S reconnect immediately if the bluetooth conenction has been lost. I often have to manually reconnect the U8. U8 and Gear S both have touch screen. Pebble is operated by 4 buttons (which I acutally prefer). I find U8 a bit difficult to see in bright daylight. The Pebble is absolutely the best one, but the Gear is OK.
U8 and Gear S is fine at night. You need to shake your arms if you want the back light of the Pebble screen to be activated (it's visible without the back light, although not as bright). Pebble's screen is always on. Gear S's screen is activated when you raise your arm. You have to manually press the U8:s button on the right side in order to get it started. U8 has the one that comes with the watch. Gear S has quite a couple to choose from but the Pebble has numerous to chose from. I like the Pebble best here: Everything is automatic and easy accessable. Gear S works fine, too but U8 needs a lot of manual activity. The Pebble has a very easy and intuitive interface, when you get the meanings of the buttons. A lot of hte configuration is made from the phone. Geas S has it's touch screen and Gear app at the phone. U8 is only configurable from the watch itself. Pebblehas it's own set of icons and animations, which feels both fresh and often makes you smile. Gear S has a functional and nicely designed interface, as they use on their mobile phones. U8 looks like an old mobile phone (with buttons) from ages ago. Pebble really has lots of apps and the Pebble community keeps making more. Gear S has quite a lot of apps too. U8 has the apps that are pre-installed on the watch. Pebble and Gear S may be used to navigate as in Google Navigator. I haven't found anything like that on the U8. Pebble is a prolonged unit of the phone. All notficiations and phone calls ends up at the watch. Gear S works in the same way. I have only been able to get notifications from calls and text messages from the U8 (no calendar, facebook messenger etc). Gear S can be used as a standalone unit since you can put a SIM-card into it. 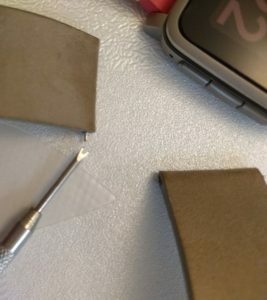 Pebble and U8 needs a bluetooth connection. Both Pebble and Gear S have this function (although I prefer the way Pebble has solved it). I haven't found anything like this in the U8. U8 is an extremely cheap smartwatch, but it doesn't play in the same legaue as the Pebble or the Gear S, but is still an interesting alternative if you're on a budget.